“She just had the passion to go forward and make a difference. And I just wanted to set the goal and set the bar high,” said Toensing. Gilmer internalized and held onto that message for the next twenty years. 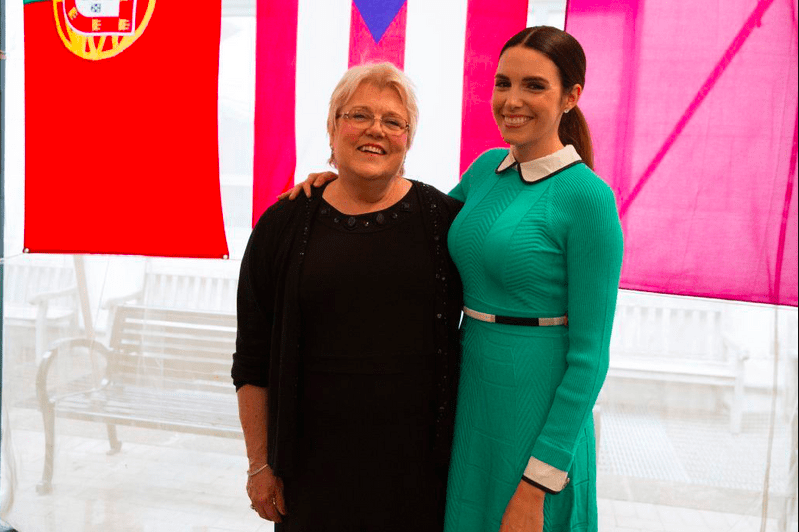 After receiving her undergrad degree, Gilmer eventually made her way to Harvard, where she studied infectious diseases like HIV/AIDS, malaria, tuberculosis and Ebola. After overcoming so much adversity, and finally making it to graduation, Gilmer knew she who she needed to invite. 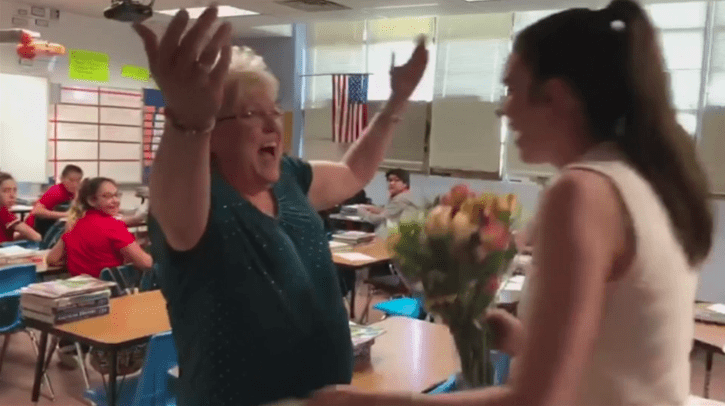 Gilmer recently traveled back to her hometown of Yuma, Arizona to pay a surprise visit to her favorite teacher and deliver the invitation in person. That wouldn’t be necessary, because the Harvard T.H. Chan School of Public Health paid for her airfare to Boston. 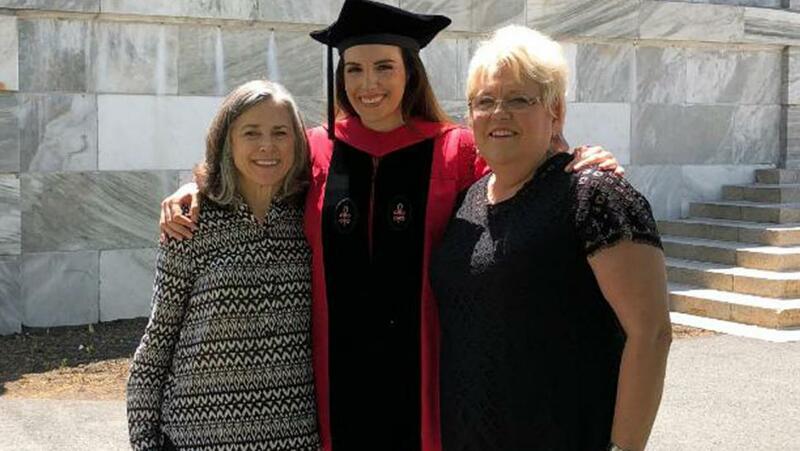 When it was time for Gilmer to graduate, her teacher from over two decades ago watched her walk across the stage and accept her doctorate in public health. Harvard Dean Michelle Williams even offered a personal thank you to Toensing in her convocation speech. “I can’t think of a better way to pay homage or show gratitude to the person who impacted me so much,” said Gilmer. 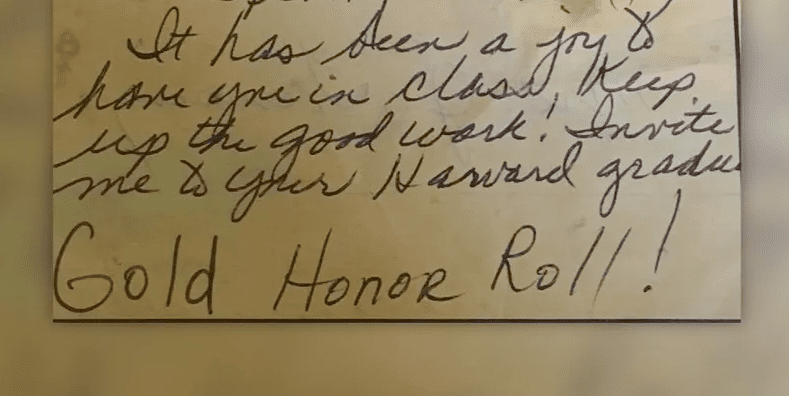 “As a teacher, it’s the epitome of everything we try to accomplish in the classroom,” said Toensing, who couldn’t be prouder of her former student.